A security vulnerability has been found in ISPConfig which might allow a client to execute code under the permissions of the ispconfig user. – The attacker must have a valid ISPConfig login (Client, Reseller or Admin – username and password). – The attacker must be able to create a website on the same server where the ISPConfig interface is hosted or he must have any other kind of local file system access that allows him to upload files to the server were the ISPConfig interface is hosted on. Thank you very much to Rio Sherri – 0x09AL for finding and reporting this issue. We highly recommend installing this update immediately. This release contains some other bug fixes and minor feature enhancements besides the security fix. For details, please see the changelog. In the past weeks, we reviewed the ISPConfig sourcecode for further XSS issues and ISPConfig was tested with professional security test tools. Thank you very much to Fábián Patrik for his efforts in testing ISPConfig. This uncovered more places where ISPConfig was vulnerable to XSS attacks. 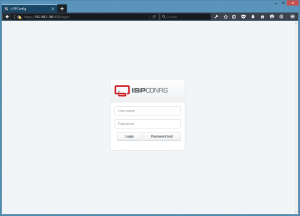 For all attacks, a valid ISPConfig login was required to exploit the XSS vulnerability. This release fixes the XSS issues that were found. Besides that, it includes several other bugfixes and new features. This release adds remote API functions to set values in the global and system configuration and fixes some minor bugs. This release contains a security fix and several bug fixes. SSH user certificates were not created securely in ISPConfig versions < 3.1.2. The code to create the SSH private and public key has been completely rewritten and placed into a central function for easier maintenance in ISPConfig 3.1.2 to solve this problem. Thank you very much to Greg for reporting this issue. ISPConfig 3.1.1 adds support for Ubuntu 16.10 and fixes several bugs that were found in ISPConfig 3.1. 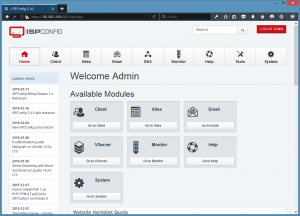 This version contains an updated apache vhost template file. In case that you created a custom vhost override file, then ensure to add the modifications of the SSL configuration into your custom template. Many small features, improvements, and bugfixes. Please see changelog link below. How can I update from ISPConfig 3.0.5? The ISPConfig 3.0.5 to 3.1 update is a normal ISPConfig update, just follow the update instructions below. 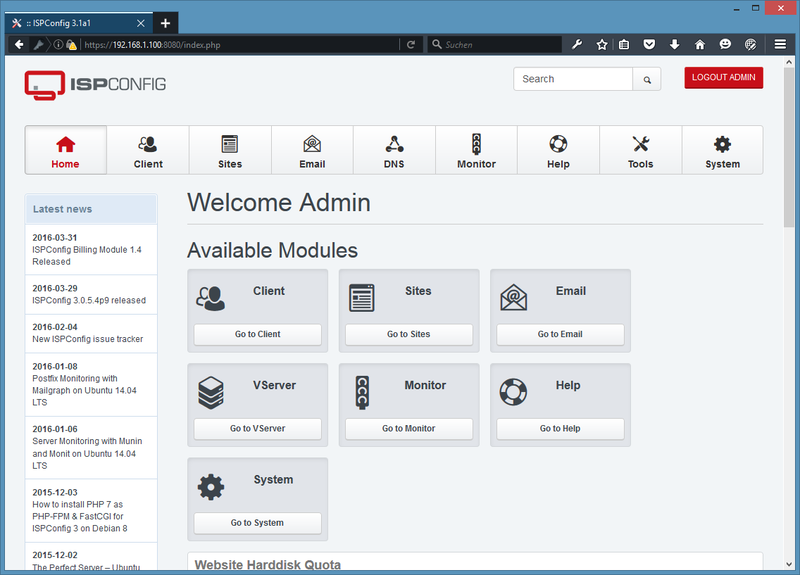 The new Billing Module for ISPConfig 3.1 is ready and will be released tomorrow (Sept 28). This release contains an important security fix for an insufficient validation of the PHP version selector. 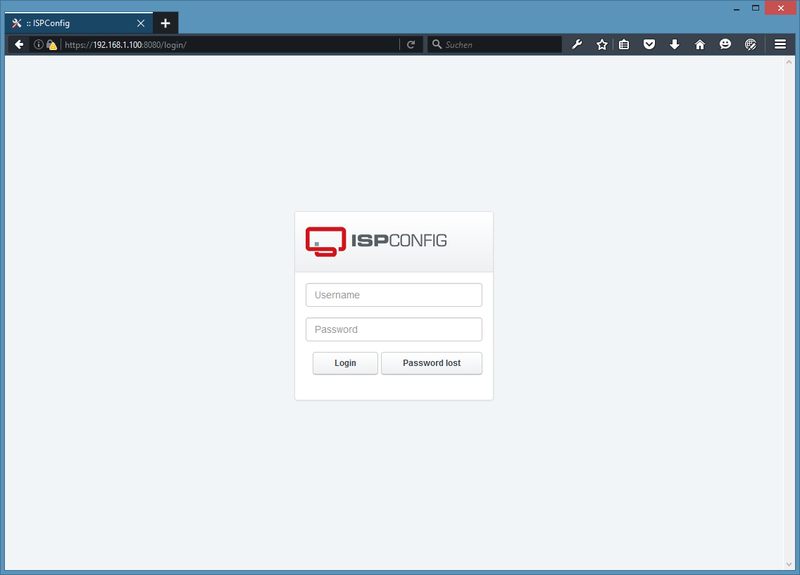 Scope of the issue: an attacker would require a valid ISPConfig login with access to the web module. The issue affects the ISPConfig interface only, on a multiserver system, only the interface server(s) have to be patched. Thank you to Timo Boldt https://git.ispconfig.org/u/timo.boldt for reporting this issue! The fix can be applied by updating to ISPConfig 3.0.5.4p9 or by using the ISPConfig patch tool. Use the normal ISPConfig update procedure with the ispconfig_update.sh command. See details at the end of this post. The „Reconfigure services“ option can be answered with „no“ on servers that run ISPConfig 3.0.5.4p8. See changelog link below for a list of all changes that are included in this release.